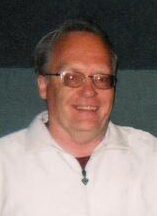 Harvey Lyle Hunter passed away at St. Paul's Hospital, Saskatoon on January 19, 2019 from complications related to Parkinson's disease at the age of 70 years. Harvey will be lovingly remembered by his sister Myrna, nephew Darren, brother Alan and his wife Miriam and their children Lillian, Jane, Charles and Caroline; as well as other relatives and friends, including his friends at the M & M Care Home where he lived for the past four years. We will miss Harvey’s love, support, kindness, and sense of humour. A Memorial Service will be held at 2:00 p.m. on Saturday, February 2, 2019 at Windsor Chapel (704 Windsor St.) in Saskatoon. Arrangements in care of Mourning Glory Funeral Services (306) 978-5200.